Famed for his alluring style, and irony, Alan Hollinghurst is often compared to Henry James. His prize-winning novels beautifully unravel rites of passage, desire and the fragility and the impossibility of love. Crossing generations, moving between Oxford and London, The Sparsholt Affair follows the fortunes of two young men, Evert Dax and David Sparsholt, who come from radically different backgrounds and meet at Oxford University in 1940. The prospect of war and military call-up overshadows their studies, and the events that follow will affect their own and many lives for years to come. 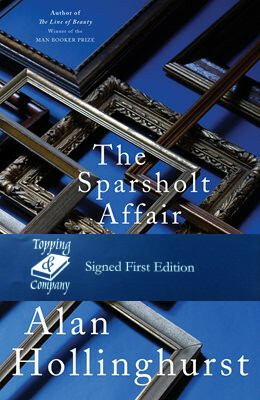 The Sparsholt Affair is a literary triumph of style and substance that once again confirms Alan Hollinghurst as one of our great novelist.